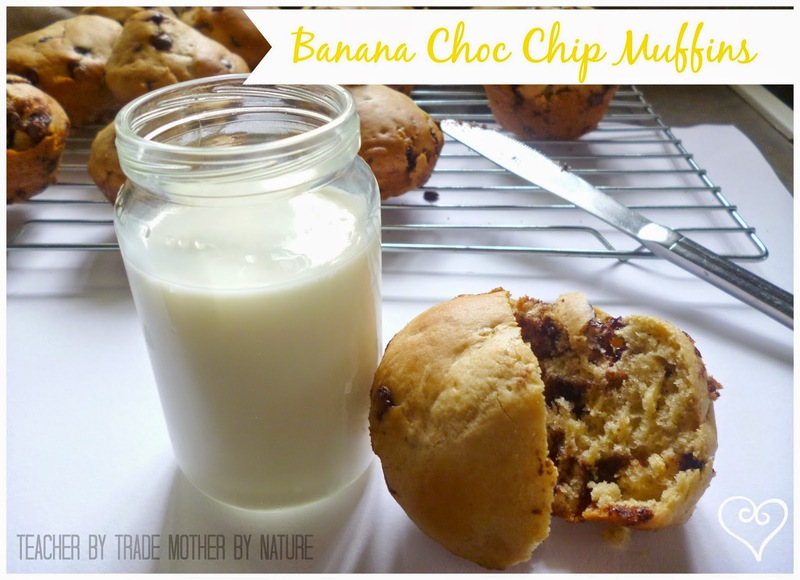 Miss B loves to bake, especially these Banana Choc Chip Muffins. They are easy to make and oh-so delicious! Preheat oven to 180°C conventional or 160°C fan-forced. Grease 12 hole muffin tin (standard size) or line with muffin/cupcake cases. In a medium bowl beat the eggs, mashed bananas, oil, milk and sugar together. In a large bowl - mix in the flour, baking powder and chocolate chips. Add the banana mixture to the large bowl and mix until just combined. Spoon into prepared tin and bake for 15 – 20 minutes or until golden brown (they should spring back when gently pressed). Cool for two minutes in the tins, then gently twist and place the muffins out to cool on a wire rack. I'm not a fan of spotty bananas either - I think that's why the Banana Choc Chip Muffins are a family favourite - always have bananas on hand!